In just a few days, there are going to be some incredibly confident and excited grooms leaving the Victoria Inn & Conference Centre in Brandon with amazing ideas to make their wedding planning and day exceptional! They’re going to look like THE MAN and the love their ladies have for them, believe it or not, is going to rise up to another level! 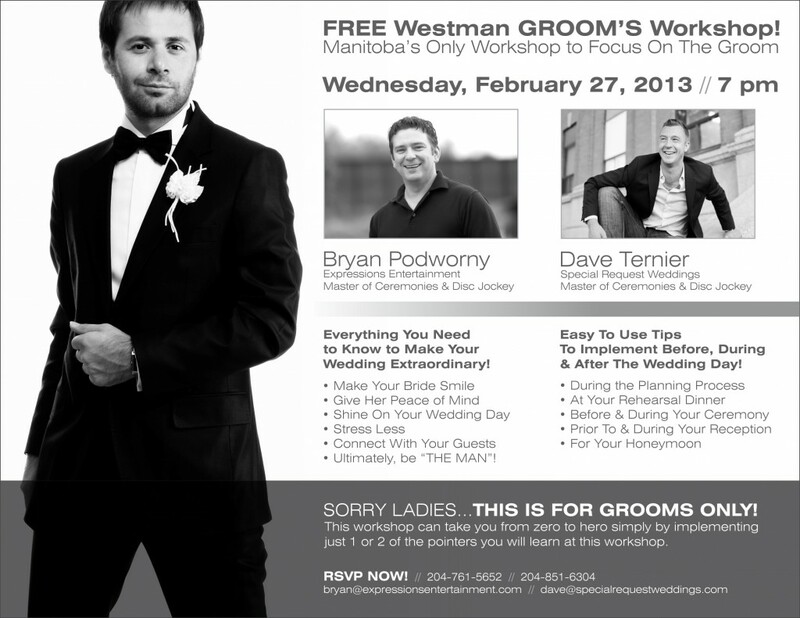 RSVP to Bryan of Expressions Entertainment or Dave of Special Request Weddings immediately to ensure your man’s spot. Tell him he can bring a friend (best man, groomsman) too! See everyone soon!